Streaming video has fundamentally changed the way media is consumed, distributed, sold, and even produced. While video-on-demand, or VOD, is familiar with most users, its kinfolk SVOD, TVOD, and AVOD are less familiar but no less important. Familiarization with VOD models is essential to understanding nascent on-demand video services, especially as Millennials and Generation Z become more comfortable forgoing cable and/or satellite services and subscribing to services like Hulu, Amazon, and Netflix. Fewer and fewer consumers are willing to abide by lengthy contracts, limited breadth (and/or quality of) content, longer commercial breaks, bloated monthly bills, and an inability to watch video on multiple devices whenever they desire. Read on to explore the various video on demand models, and learn what those pesky acronyms mean after all! SVOD stands for Subscription Video on Demand, where a consumer agrees to a subscription service that provides access until the consumer cancels or a contract runs out. Netflix is the most ubiquitous example of SVOD services, and they produce their own serial and film content—a practice widely supported by consumers aged 15-35. These SVOD services often provide extremely high quality video over the internet without waits or buffering issues. Typically, SVOD services run on monthly subscriptions with no limit to the amount of video consumed. 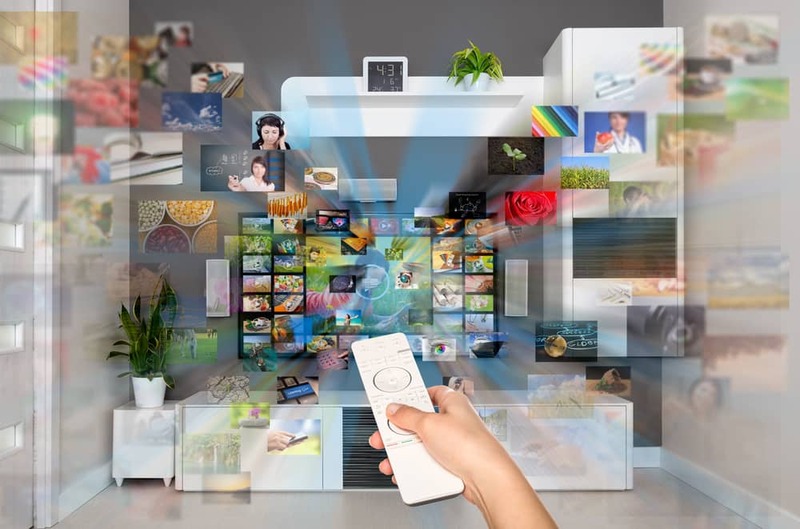 In contrast to cable television, which typically require 6 or 12-month contracts, the ease of opting in or out of SVOD services means these services must remain innovative and high-quality to retain their customer base. A drawback of SVOD is that even highly desired content can leave the service at any moment with little warning, which can upset customers. TVOD, or Transactional VOD, offers a free signup or free profile for the consumer and instead charges based on the amount of content or type of content watched. Most often, TVOD services focus on movies, but this model has been used for live events, including sports. TVOD makes its money on the premise that they offer great prices on certain content and the consumer then uses the service for their general needs. TVOD services, such as Apple iTunes, can often offer newer releases because of their structure, and they lend an air of legitimacy. These services often store credit card info per each consumer, so purchasing a new movie becomes a breeze. TVOD companies must make purchasing as easy as possible to discourage piracy. Some TVOD services offer a pay-what-you-want model, which appeals to younger demographics who crave video content but cannot always afford it. One downside to TVOD is the time-limited access that can apply to certain premium content. AVOD is Ad-Based VOD, where the experience is completely free for the user, but the user must also watch occasional advertisements. YouTube is one of the most prominent AVOD providers. Though the model is very similar to television’s model – users receive content and sponsors subsidize the cost of that content with commercial breaks – this is still fertile ground. With demographic targeting and automated advertising, AVOD services may become more popular as certain niches can be isolated for commercials. Furthermore, AVOD services can provide an enormous swath of content. In YouTube’s case, they make it very easy to embed videos onto other platforms. Consumers seem to tolerate this model; 53% of global respondents in a survey stated that they’d prefer to watch video using an AVOD service than pay for an ad-free SVOD service. Moreover, AVOD services have proven themselves viable to the mobile market, as more consumers globally are more likely to play AVOD content on their smartphones (45%) than desktops (44%), though this trend is more prominent overseas than in America, where customers still prefer their computers to watch AVOD content. Some companies have attempted to blend some form of subscription-based and advertising-based video services. Typically, this takes the form of increased payment for fewer commercials, as Hulu has demonstrated. Others, like Spotify, use the “freemium” model popularized by gaming apps for smartphones, where the basic model is free, but desirable upgrades – in this case, a commercial-free experience and access to music without an internet connection – require a monthly subscription. Reviews of hybrid approaches are mixed. Which VOD service appeals most to you? Let us know in the comments section.